Forget about the 11.11, consumers are set for another shopping spree this upcoming Lazada 12.12 Grand Year End Sale. And to widen up your options, Vivo is joining the party, revealing that consumers can enjoy up to 40% off on select smartphones during the promo. If you’re looking for a new smartphone this holiday season, this is a good news for you. Vivo is cutting off the price tags of its select range of devices including the Y69, V5 Lite, V5, V5s, V5 Plus, V7, and V7 Plus. Known for capturing perfect selfies, these handsets sport high quality cameras, great display, and powerful specs to accompany you on your mobile activities. As a quick recap, the Y69 comes with a 5.5-inch display, 13-megapixel main camera, and 16-megapixel front snapper. The V5 series, on the other hand, boasts a 5.5-inch panel. All of them are armed with a 13-megapixel rear shooter except for the V5 Plus variant. Also, all of the models are geared with a 20-megapixel selfie snapper except for the V5 Lite. Jumping off to the V7 line, both the V7 and its Plus variant are coupled with 16-megapixel dual rear cameras and a 24-megapixel front shooter. However, the V7 Plus flaunts a bigger 5.99-inch display, while the regular model flashes a 5.7-inch screen. 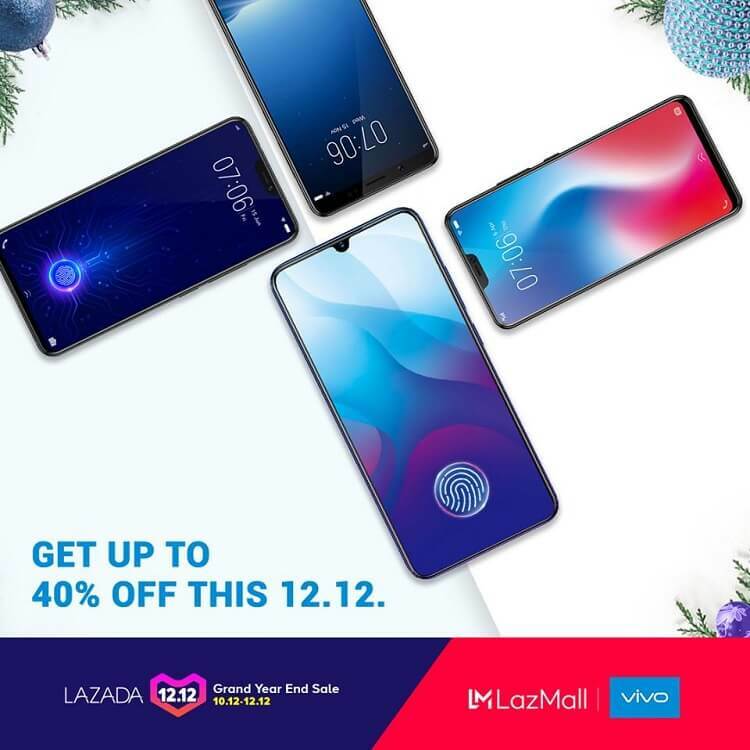 You can score these select Vivo smartphones this 12.12 Grand Year End Sale with up to 40% discount. Promo runs beginning December 2 to 12, 2018.